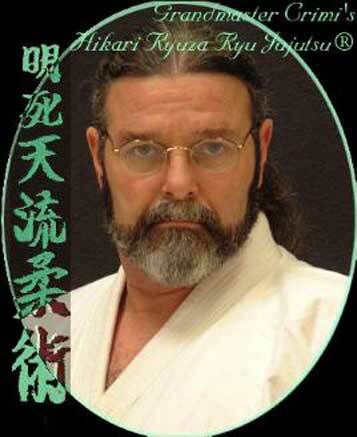 10th dan Menkyo Kaiden, the current world Doyen of Grandmasters of Ju Jitsu. First Occidental to be gratified of the 10th dan in Ju Jitsu. This was the first time that the highest official graduate of a Japanese Martial Art was not a Japanese but an Occidental. Currently is 10e dan Hanshi de Ju-Jitsu WBI, EJJU, IJJF, AJBFSA, FFJJBA, WUMA, ATAMA, WBFOMA, IBA,IHF, BI, IBS, KBK, ESJJAS, ASAY, WJJABF, AYBK, HNL. him its own recognition for its work to the training of young people. Jacques Chirac decorated him for «his merits of journalist, of writer, of teacher of the young people and of creator of champions, who as made reappear in Paris the Japanese art of authentic high level Ju Jitsu, which is part of the universal inheritance but that by then was estimated lost even in Japan». Famous journalist of investigation and opinion, whose certain «impossible» investigations are engraved in the memory of world journalism and have made qualify him «civil hero», he is now the only holder of the knowledge of Grandmasters of Butokukai. Its teaching and its example, highly ethics and techniques, are spread in the whole world. The Dai Nippon Butokukai was the Imperial Martial Virtue Association until the end of WW2. The best masters of the 11 most important Ju Jitsu schools were brought together there and were in charge of elaborating a synthesis of the most efficient techniques of each school. Particularly rational and structured, this «supreme method» was only taught to a selected elite which refused to ensure its diffusion after 1945, for the sake of coherence with its Japanese traditional ethics. By an exceptional combination of circumstances detailed in book «La plume et la main vide» («The feather and the empty hand», available in French), the last holder of this method is now Stefano Surace. And in 1988 decided to start teaching in order to preserve his knowledge who is part of the universal patrimony. Hi thus made reappear the most level of Ju Jitsu, which seemed disappeared. 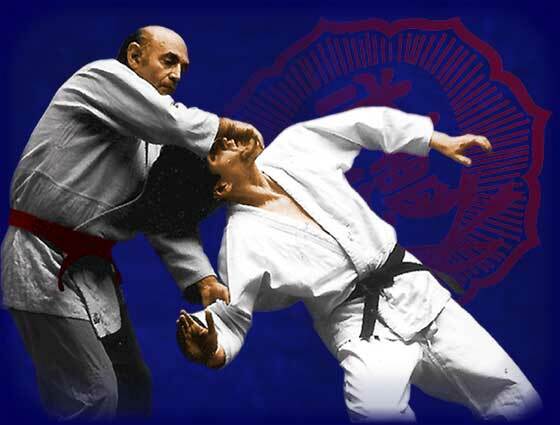 Its famous techniques of higher Ju Jitsu, making possible to neutralize in a nonviolent way an attacker even very violent, are very formative for young people end providential for the police force, avoiding many disadvantages to them. Four of its pupils gained the Ju Jitsu World Cup - free fights without categories of weight being held on hard ground (and thus without tatami) - in 1993, 1994, 1997 et 1994 : Nicourt, Grillot, Stoppa, Perier. - Honor Member for life of Hanshi no Iinkai, Hall of fame, World British Art Martial Federation. The IJJF and EJJU, whose Grandmaster Surace is the world technical Director and honor member for life, are the most important worldwide Budo official institutions, the only recognized by UNESCO. The directory of international organizations, qualifies the IJJF as «the world-leading organization for all styles of Japanese Ju-Jitsu based martial arts». 10th dan Hanshi in Ju Jitsu. For 47 years, Grandmaster Crimi has been passionately immersed in martial arts. His path began in 1959 in Nevada. He trained in Judo for the next four years. In 1963 he moved to Grass Valley, Ca. and in the city of Sacramento he found a new Dojo whereby karate was taught. In 1969 he received a Dojo Shodan in Kempo Karate. The following two years (1970-1972) took Grandmaster Crimi through a multitude of martial arts, including Hwarang Do, Tang Soo Do, Hapkido, Aikido, yet his quest was still unfulfilled. In 1972 his interest was peaked by an article pertaining to the «elite» of the martial arts world. This was in reference to Jujutsu. He then found a seminar being taught in Nevada, by a Professor Francis Merlin «Bud» Estes (who was a student of the late Founder of Kodenkan-DanZan Ryu Jujutsu Seishiro «Henry» Okazaki), and attended. In Professor Estes, Dr. Crimi found his true master. With permission from Professor Estes, he opened his own Dojo in Grass Valley, Ca. and founded Hikari Ryuza Ryu Do Kan®, and Hikari Ryuza Ryu Jujutsu®. Dr. Crimi was a student of Professor Estes starting in 1972 and was a private student of Professor Estes’ for the last four years of Professor’s life, traveling at least twice a week from Grass Valley to Chico, Ca. until Professor Estes’ death in 1981. One-year prior to his teacher’s passing, while receiving his Sandan, he was imparted these words: «Welcome aboard. Grandmaster Crimi has been teaching Martial Arts i.e. Karate and DanZan Ryu Jujutsu for the past 36 years, 28 of those years have been spent teaching Hikari Ryuza Ryu Jujutsu®. Since the opening of his Dojo, Dr. Crimi has been responsible for 33 students attaining the rank of black belt (Shodan) and higher. He has been a defensive tactics instructor for law enforcement for over 30 years. His defensive tactics course is certified through the Commission on Peace Officer Standards and Training (POST), California Department of Justice. His curriculum includes special courses of tactical training, such as ATGrD (Advanced Tactical Ground Defense), PCT (Pain Compliance Techniques), and Ha-e-Ha (blade to blade). On 04, February 2005 Dr. Crimi received the Meritorious Service Medal from Law Enforcement for 30 years of service to Law Enforcement and the community. The Meritorious Service Medal is one of the highest awards that Law Enforcement can bestow upon an individual. Dr. Crimi holds a Ph.D. in Medical Science, an O.M.D. Doctor of Oriental Medicine, and is board certified through the United States Integrative Medical Association, the American Alternative Medical Association, the American Naturopathic Medical Association, and the International Alternative Medical Association. Grandmaster Crimi is the President of The American Teachers Association of Martial Arts (ATAMA). The Grandmaster is also honored to be the United States Representative and the International Technical Director for the EJJU, IJJF and the all Budo Federation Seibukan Academy, Kyoto Japan European Jujitsu / Jujutsu Union (EJJU). Commenced Training in martial arts 1980’s. 2nd Dan Goju-Ryu Karatedo Nippon Seibukan Japan. 3rd Dan Jujitsu. Dai Nippon Butoku-Kai Kyoto Japan. 2nd Dan Jujitsu. United States Jujitsu Federation. Certificate of Appreciation, nomination of an Australian Day Award Thuringowa City Council. 1993 - Australian Koshiki Karate Association, Nth Qld President. 1993-95 - All Japan Budo Federation Nippon Seibukan Japan. Australian Chief Instructor. Referee Australian Koshiki Karate Association. 2nd Place International Hard Contact Karate tournament Kyoto, Japan. 1994 - Australian Koshiki Association Tournaments and seminars Australia / Japan Sister City Budo Exchange Activities. Iwaki Kendo / Iaido Instructors. He was born in Logroo, Spain. He took up the studies of Doctor in Medicine and Surgery. Later he studied the medical specialties of biology sports medicine , and rehabilitation. where he studied Orthopedic Medicine and Traumatology. He is also a medical sophrologist. His official initiation into the world of Budo was in 1967. His real discovery of the Art took place under the apprenticeship of a Master of Chuan Fa and Tomari-Te Masashi Motegui, with whom he stayed almost ten years. Masafumi Suzuki, who practiced Goju Ryu and Ju-Jutsu. In 1978 , he received the manuscript dealing with To-De from his Great Grandfather and from that moment, helped by Motegui, he has been working in that line of Tomari-Te in order to help him understand To -De better. (deceased in year 2004) intimately related to the already deceased Master Mochizuki, Kanazawa, and many great Masters of the tradition. After 20 yeras of study and before presenting the 1st historic exhibition of Paralimpics Karate, a first in both Karate and the Olympic Games. work was presented to the Emperor of Japan. He has three World’s Records in Karate Kata - Kumite - Tamesiwari. He was Champion of Karate at the University (1977-1978). »Meijin» from Master Dr. Vernon C. F. Bell, President of EJJU and the Seibukan. He has however, the recognition of the highest authorities in Budo on the international level, highlighting the title of Meijin. Dr. Pereda is in possesion of the Gold Book from the International Olympic Committee. 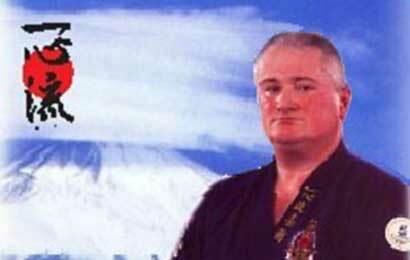 Born in 1958 in Edmonton, North London, Soke Kevin Pell began his martial arts career in October 1966. During his 37 years of training to date he has studied the arts of Judo, Karate, Ju Jitsu, Kung Fu, Shorinji-Kempo, Kickboxing and most recently Iaido and Kendo. In 1982 his fascination of the striking and locking arts took him to Japan to study the art of Shorinji-Kempo at the Honbu Dojo (headquarters). In January 1990 he opened the very first Ishin Ryu school of Ju-Jitsu based in his home town of Borehamwood, Hertfordshire, in the United Kingdom. Since early 1990, Kevin Pell has received invitations to teach worldwide his no-nonsense style of Ju-Jitsu attracting international attention from many of the world’s leading close protection agencies and military Special Forces. Kevin has served with the Royal Marine Reserve and the Royal Military Police. He was also a dog handler in The Parks Police completing his service in the rank of Sergeant. In 1996, Kevin was personally invited to join an elite team of close protection officers drawn from Britain’s Special Forces, responsible for the personal security of leading members of the United Arab Emirates. His Ishin Ryu Ju-Jitsu clubs have had numerous television appearances both nationally and internationally. They have appeared on The James Whale Show, London Weekend Television’s prime time challenge program «You Bet», The Link, Sky and Cable Television. Kevin has recently appeared as an instructor in Andy McNab’s recent video «The S.A.S Survival Guide» where he trained and arranged the escape and evasion sequences. Kevin appears regularly in martial arts magazines and publications both here and abroad including the internationally acclaimed best seller The Ultimate Book of Martial Artsin which a 32 page section is dedicated to Kevin’s unique style Ishin Ryu Ju Jitsu. He continues to receive invitations to teach and expand both at home and abroad. Soke has appeared on the front cover of Steve Grayston’s Martial Arts in 1996, the front cover of which can be viewed by clicking on the photo below. On Saturday the 6th of October 2001, Soke Kevin Pell was inaugurated into Combat Magazines’ «Black Belt Hall of Fame». Soke was presented the award by Combat Magazine’s editor, Mr. Paul Clifton, in recognition of his outstanding contribution to the Development of Martial Arts in the United Kingdom and around the world. In April 2002, Soke Kevin Pell also appeared on the front cover of Combat Magazine, (Europe’s largest martial arts magazine). Further more a full six page article about Ishin Ryu and Soke Kevin Pell’s devotion to martial arts was printed inside. Click on the picture below to read the full article. 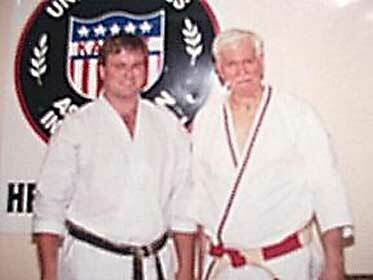 On the 25th day of October 2003, Soke Kevin Pell was invited to the Combat Magazine’s «Hall Of Fame» for a second time. 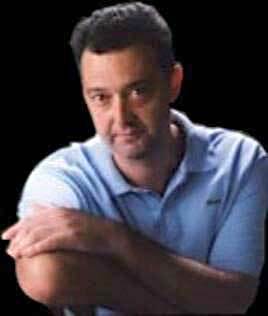 On the 8th of November 2003, Soke Kevin Pell received his Hachidan (8th Dan). This was presented to him by the Japanese master Doshu Shiro Shintaku 9th Dan and Stephen Grayston 10th Dan, in the presence of Mr.
Atsuyuki, the 1st Secretary of Education from the Embassy of Japan, and Dr. Vernon Bell, president of the European Ju-Jitsu Union. On the 2nd of December 2004, Soke was awarded honorary life membership to the all Japan Ju-Jitsu International Federation by it’s board of directors in recognition of his lifetime achievements and contribution to the art of Ju-Jitsu and martial arts throughout the world. The Life President Daniel Blanchet (Hanshi 10 Dan) has spent many years promoting and preserving the true roots of the traditional martial arts arts of Karate-do (Wado Ryu), Ju jutsu (Shindo Yoshin Ryu) that he learned from his late Sensei, Phil Milner-hanshi and Aiki Jutsu (Yoseikan & Daito Ryu)... A true BUDO story that he started many years ago in 1959. 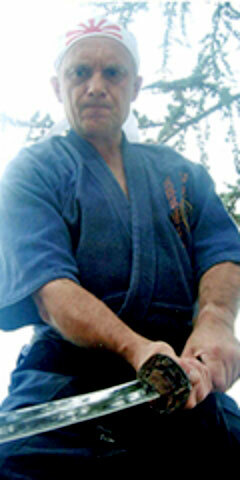 He is the European Director of the International Budo Association (I. B. A.) and after the passing of his Sensei, Phil MILNER in 2000, he became his ’spiritual inheritor’ to continue with honour. He travels to many countries each year giving tuition and ensuring that I.B.A. standards are maintained throughout the world. Expert of international reputation for whom to become richer this ’European Samurai’ is reference in martial arts and face among the world this domain. His headquarters are in Rodez (Southern France).